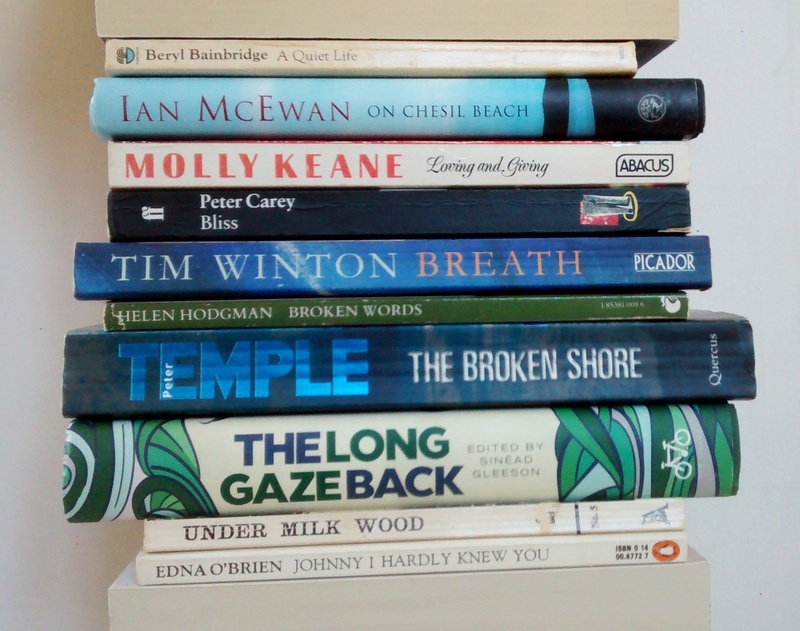 Every so often I make a poem by stacking books on top of one another so their titles line up felicitously. 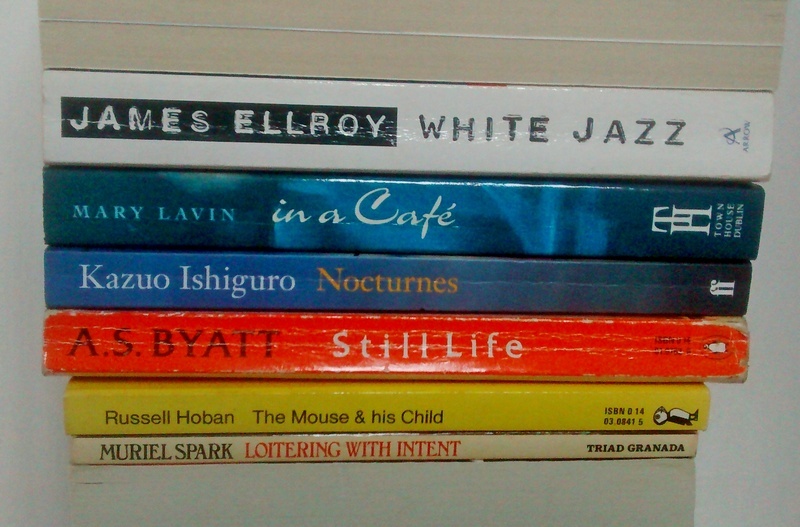 I call them book spine poems, or bookmashes for short. Here’s a new one. 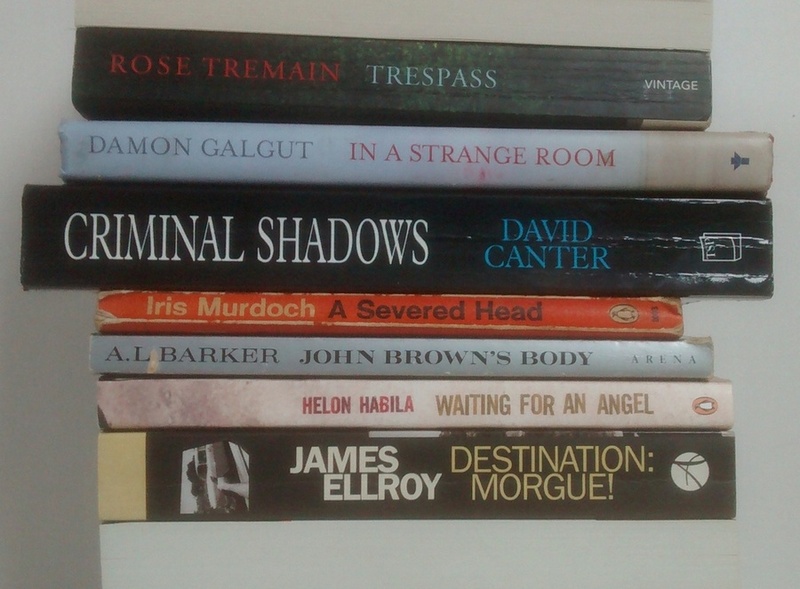 Some of these are recent additions to the bookshelf; a few are old favourites. 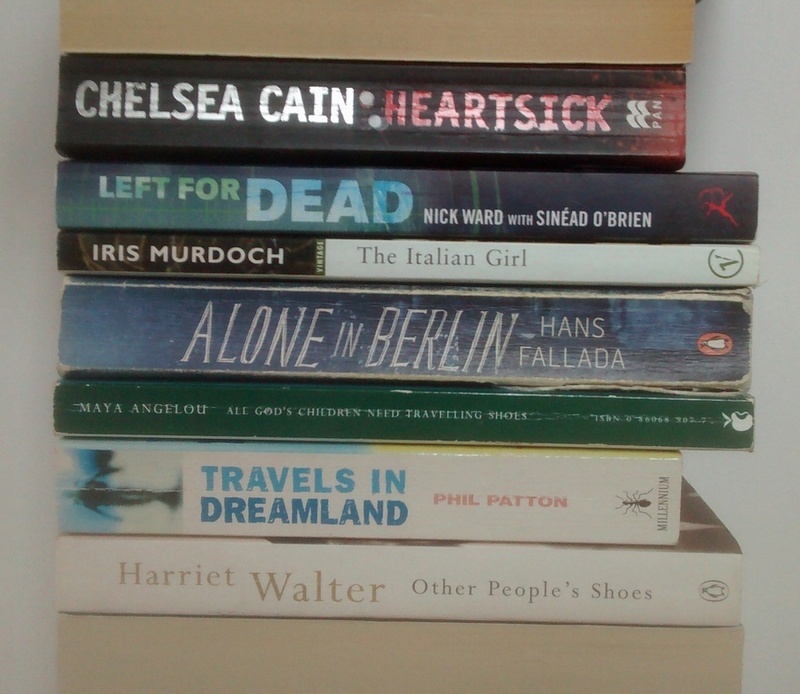 There’s a strong bias towards non-fiction here, with Ali Smith’s the only novel. In 2013 I found a close ratio of fiction to non-fiction in my bookmashes, but I’ll have to review the figures, maybe when I’ve done 40 or 50 (we’re at 37 now). Last weekend I read The Long Gaze Back, a wonderful anthology of short stories by Irish women writers, edited by Sinéad Gleeson. 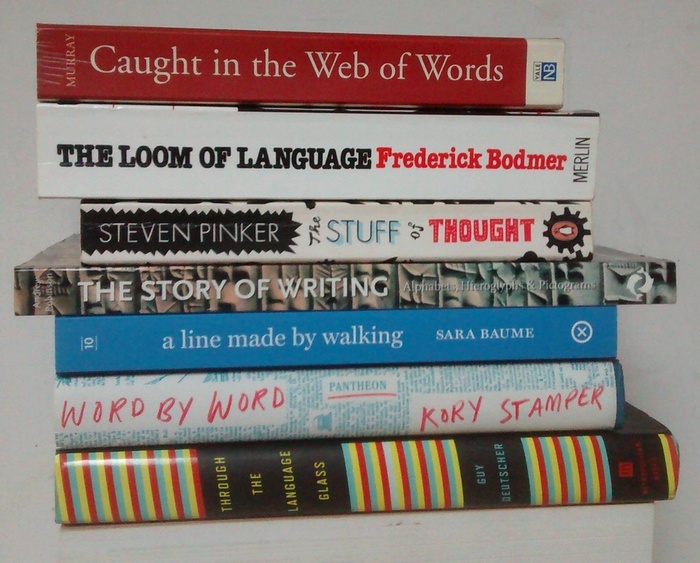 I felt the book’s title – borrowed from Maeve Brennan’s novella The Visitor – could work in a book spine poem. So here it is. Thanks to the authors: Chelsea Cain, Nick Ward with Sinéad O’Brien, Iris Murdoch, Hans Fallada, Maya Angelou, Phil Patton, and Harriet Walter; and to Nina Katchadourian. 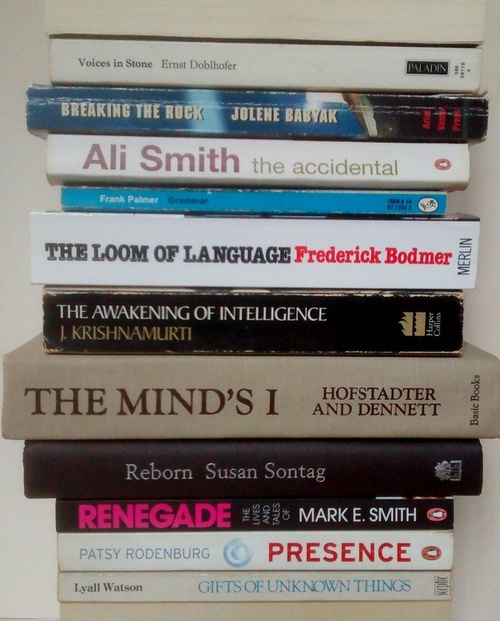 See the archive for older book spine poems, aka bookmashes, and let me know if you join in the game. 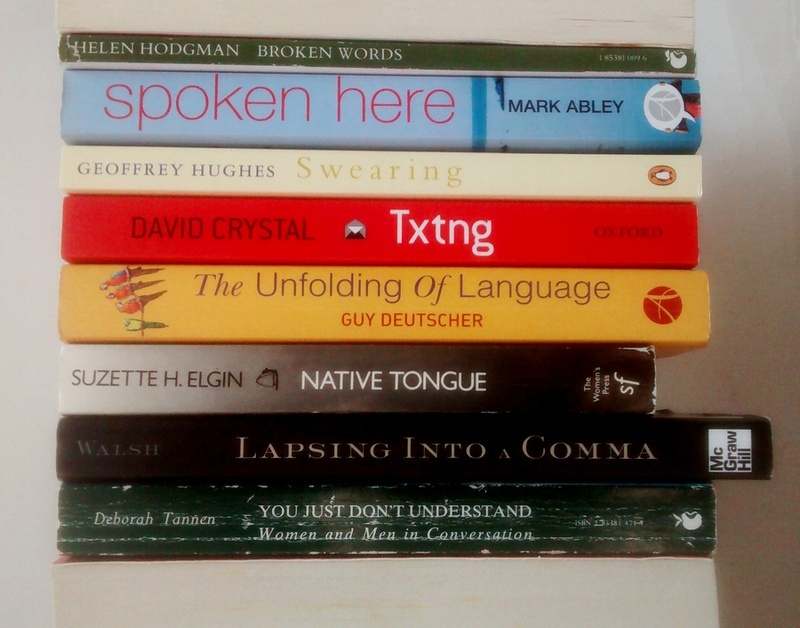 New books mean a new book spine poem, aka bookmash. This one has a language theme.